Earlier this month, Yeshivah of Flatbush 8th graders visited the Yeshivah of Flatbush Joel Braverman High School. 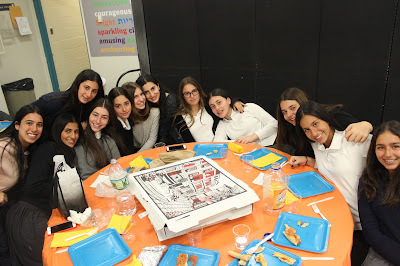 As part of our junior mentor program we welcomed the students with music, played a very fun bingo game filled with all the incredible extra curricular activities offered at the school and ate lunch together. After lunch each student was assigned to a class based on his/her interests. The choices were Tanakh, STEM, English, History and Art. 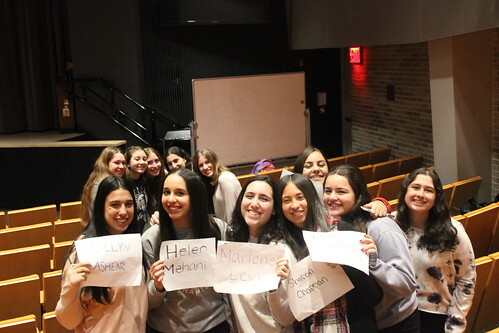 The program was a great way for the 8th graders to get to know all that Flatbush has to offer as well as to form friendships with those that will soon become their seniors next year. Everyone truly enjoyed the event and we can't wait to welcome the students again as the class of 2021!